Welcome to the digital world. Let’s start with some philosophy. Genomics, a formerly relatively data-poor branch of life science has transformed into big data science. Data acquisition is no longer the main issue. Data analysis today requires another skill set than it did only 4-5 years ago. We need to become data miners, even for relatively small research projects. In his 10 Commandments of the Digital Age, author Douglas Rushkoff suggests that future generations will divide up into the digital haves and have-nots, people capable of looking behind the flashy front-end of smartphone apps and Facebook games and people who do not have access to this. Learning to program will be one of the currencies of the future. De humani corporis fabrica. 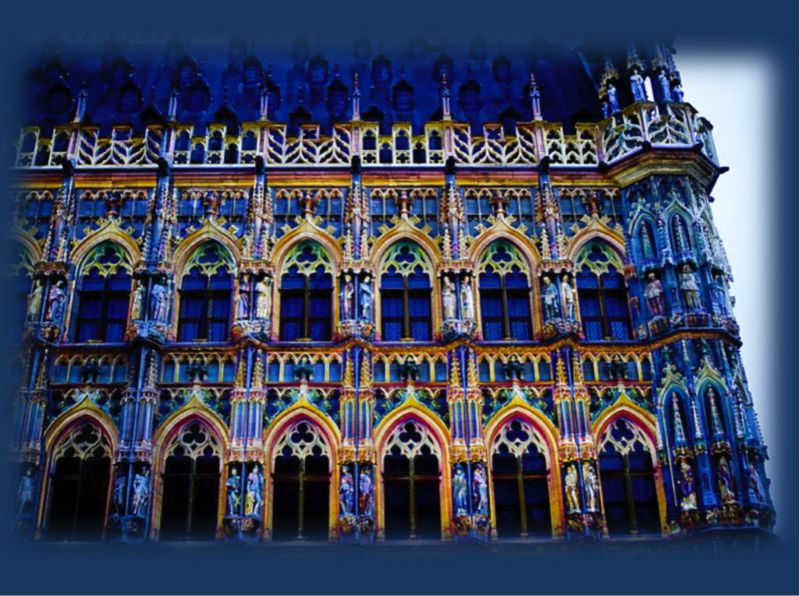 Our workshop will take place in Leuven, Belgium. I connect Leuven with the place where Andreas Vesalius worked who is known as the father of human anatomy. I feel more like an anatomist than a physiologist and somehow, this interest in identifying building blocks first rather than thinking in functional terms drew me to genetics in the first place. Ever since my first year in med school, I have always liked diagrams or graphics of proteins interacting such as the Roche Biochemical Pathways that are on the wall behind me while I am writing this post. This is pretty much anatomy again on a molecular scale. While Vesalius discovered and described the basic anatomy and helped described the “fabric” of the human body, we will analyze the smaller building blocks, the genomic anatomy. Don’t worry. This workshop will be doable for everybody with basic computer knowledge. We will use Linux computers for this workshop and will be able to provide some training laptops for this. If you are not sure whether your bioinformatics skills are sufficiently advanced for this workshop, try it. What is the worst thing that could possibly happen? We will limit the workshop to 20 participants and will have to draw lots for the spots in this workshop. These are the people organizing the workshop: Arvid Suls, Ingo Helbig, Roland Krause, Patrick May, Holger Thiele, Kamel Jabbari, Katja Kobow and Silke Appenzeller and VIB BITS. This is the link to the preliminary program. This entry was posted in Bioinformatics, EuroEPINOMICS, Meetings, Motivation and tagged anatomy, Andreas Vesalius, Biochemical Pathways, bioinformatics, bioinformatics workshop, Douglas Rushkoff, exome, human anatomy, leuven, Program or be Programmed, Ten Commandments, training, workshop. Bookmark the permalink.